Kicking off the festivities is Comfort, held Thursday February 21st at SODO Park. As in the past, this event combines feel good foods (or comfort foods, get it?) and tasty drinks with a focus on beer & cider. The event features gastropubs, burger joints and everyone’s favorite mac & cheese. A French fry bar? A bloody mary bar? Yes please. To both. Don’t miss the tasty goodness that starts the first of the Seattle Wine & Food Experiences. Next up is the ever popular POP! Bubbles & Seafood, which combines everyone’s love of seafood and all things sparkling wine, Champagne, Prosecco and Cava. This year’s event is being held at The Sanctuary Seattle and is on Friday February 22nd. A tasting event focused mainly on bubbly is pretty much my dream. Afterall, the best hashtag I’ve ever come up with is #bubblesmakeeverythingbetter. And it’s true! A room full of bubbly and the best Northwest Seafood around is bound to make EVERYTHING better. Guests will also get to enjoy rosé, refreshing whites to accompany the seafood and some high end reserve reds from some well known Washington wineries. Just take a peek at the food and drink offerings. The event that started it all, The Grand Tasting is in its 11th year! This event has come a long way and I have been able to enjoy the ride for many years now. In its second year at Bell Harbor, the Grand Tasting features wine, beer, cider and spirits from both the Northwest and around the world. Hungry? Food is also a big part of this, with restaurants from around the area serving tasty bites to guests. There are also several events within the event, or “experiences” offered that are sure to please. This is the go-to event for someone who wants to try a little bit of everything all in one place. This has always been a favorite of mine and I always leave having learned something new about a new winery or restaurant! 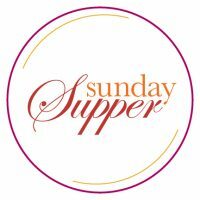 Brand new in 2019 is Sunday Supper, held Sunday February 24th at Block 41. Some of Seattle best chefs come together to provide a dinner unlike no other, with each chef serving up a different course. After dinner, mingle with chefs and other SWFE producers at the after-party and wrap up the Seattle Wine & Food Experience weekend in style. Tickets to all event are available here, and don’t wait since events can sell out. With so many great events happening for the Seattle Wine & Food Experience, how do you pick just one to attend? You don’t have to! Purchase the Seattle Wine & Food Experience Weekend Pass and attend Comfort, POP! and the VIP session at the Grand Tasting. For now it’s back to the tiny human for me, hope to see you all at the 2019 Seattle Wine & Food Experience!